We aggregated the most popular comparative reviews of iPhones to find the best for outdoor needs. Are you overwhelmed by all of the iPhone* choices? Yep, so are we. Even more so because the “standard reviewers” aren’t necessarily looking at the criteria that is relevant to outdoor adventurers (durability, battery life, and water resistance are at the top of our list). So, we did what we always do…go deep into the details (and there are a lot of details) and dump everything into a spreadsheet to see what shakes out. The result for outdoor needs: the iPhone XR is the best iPhone 2019. Not convinced you need a phone for the outdoors? We hear you. Here’s a few reasons why we think phones have become the new essential piece of gear. The iPhone XR is the unanimous winner based on seven comparative reviews. It hit the sweet spot between price and features. Throughout our analysis, we also kept in mind that this purchase is not just for outdoor adventures. Your phone needs to serve you well in “regular life,” too. Of the iPhones on the market now, the XR has the best balance of features and price. First, when it comes to waterproofness--the most important criteria for many adventures--we think the XR meets the needs of most outdoors people. The XR is rated to a maximum depth of 1 meter (3.3 feet) for 30 minutes. Unless you’re scuba diving with your phone (and we don’t recommend it), you probably don’t need the extra 1 m (3.3 feet) of underwaterproofness offered by the more expensive iPhone XS and iPhone XS Max. When it comes to durability and drop-proofness, the XR has a lot of advantages over other models. The newest models of iPhones (XR, XS, XS Max) use a new more durable glass. The XS and XS Max have it on both the front and back. The XR only has it on the front, which we actually prefer for outdoor adventures (less glass to crack). Even still, the independent drop tests we saw for the new Apple glass were impressive. CNET dropped their unprotected iPhone XS (the all-glass model) four times on the sidewalk and it barely got a scratch (whereas the iPhone X broke on the first drop). Zack Nelson dropped two XS’s seven times from various heights (one without a case and one with the cheapest case on Amazon) and neither phone broke. Remember how the XS models have glass on both sides? We suspect the XR (which only has glass on one side and metal on the other) will be even more durable. We think a major advantage of the XR over the other iPhones is storage capacity options. Our experience has been that 64GB is not quite enough storage for adventurers (think of the space it takes to load phones with topographic maps, guidebooks, music, podcasts, photos, and videos). But the XR is the only phone (other than the 7s) that has a 128GB option. All the other iPhones require you to jump from 64G to 256G--for an extra $150. The XR jump from 64GB to 128GB (which should be plenty big) is only $50. That’s another win for the XR. When it comes to battery life, we think the XR is the best option for the outdoors. Apple claims that the XS Max and XR have the same battery life for talk time but the XR wins in internet use – beating the XS by 2 hours. Tom’s Guide agrees that the internet use is best with the XR, but only by 48 minutes. GSM Arena claims the XS Max has the best battery life if you do one hour of 3G calls, one hour of video playback and one hour of web browsing daily. Given how we outdoorspeople tend to use their phone (i.e. not so much talk time), we think the XR wins for battery. But by any measure, the differences between the XR, XS, and XS Plus models are negligible. The one thing that is for sure is that all three new models are better than older iPhone models. Ultimately, the negligible hour-or-two differences in battery life between the phones didn’t influence our decision much because we carry (and recommend other adventurers carry) an external battery into the backcountry. In recent times, phones have become too important for adventurers to rely only on the battery that comes with the phone. We like the new Anker PowerCore Lite 10000mAh, because its one of the slimmest and lightest battery packs (it’s the size, thickness, and weight of a slightly smaller phone). The Anker PowerCore can recharge the XR two-and-a-half times, which we think is enough to last all but the most epic expeditions away from power outlets. The one reservation we have about the XR vs. other iPhones is the camera. We think most adventurers will find the camera on the XR performs well. But Apple doesn’t make it easy to figure out the difference between cameras. The XR has a single rear-facing camera – a 12-megapixel wide-angle camera. In contrast, the XS, XS Max, 8 Plus, and 8 Plus have dual rear facing cameras – a 12MP wide-angle camera and a 12MP telephoto camera. Will this matter to you? Possibly if you’re looking to zoom in on a distant mountain or a wildflower close-up. CNet says “not having 2x optical zoom bothered me more than I thought it would.” But other reviewers actually preferred the XR’s camera configuration over the XS and XS Max. Another reason we like the XR is that it has Dual SIM cards, which is only available in the newest generation of iPhones. Our first reaction was – why would I need that? But after reading about it, we think a savvy outdoor adventurer can use it to their advantage. Dual SIM cards allow you to have dual carriers. This means you can have your main carrier and get a cheap pre-paid plan for a backup carrier. If you ever need coverage in the middle of nowhere, your chances are better with two carriers. Dual SIM cards also mean you don’t need to buy a new phone for international travel. It also allows you to use one phone for both a work and home number. Ok, so most outdoors people aren’t carrying two phones into the backcountry, but remember how your phone also has to serve you in real life? Anyone who has ever carted around two phones can tell you having it all in one spot is much easier. The XS and XS Max have gigabit class LTE with 4x4 MIMO (multiple input multiple output) technology “which uses four antennas rather than two to improve signal strength and speeds.” Initially we were hopeful that this meant improved signal strength in rural areas. Unfortunately, the tower also must be enabled with this technology, and carriers are slow to update. Rural areas (where you are most likely to be adventuring) are usually the last to get technology improvements, so the likelihood of 4x4 MIMO helping when you need it in the mountains is low. The iPhone XS and XS Max have the new super retina HD OLED display with 458 pixels per inch. The XR has a super retina HD LCD display. Will you notice a difference? All of the reviews we read said that most people will only notice a difference if they see the phones side-by-side. Also, the OLED displays are power hogs so even though the XS Max has the largest battery, the expected battery life is less than the XR. We don’t think the display quality is important for adventurers, especially since it costs of extra money and extra battery life. Treeline Review contributing writer Katie Gerber uses the iPhone 8 on the Oregon Desert Trail. Photo by Whitney LaRuffa. Longing for the days of smaller phones? Then the iPhone 8 is your best bet. No doubt about it, the XS Max and iPhone XR are big phones. (The iPhone XS is 6.24” x 5.65”. The iPhone XS Max is 7.34” x 6.2”.) The XS Max may not even fit into our ski jacket pocket! If you want a smaller iPhone, Apple still has smaller options: the iPhone 7 and iPhone 8, which are nearly identical in size. Between the iPhone 7 and iPhone 8, we think the 8 is the Best Small IPhone because of its longer battery life, shorter charging time, and better processing speed. The iPhone 8 has better battery life than the 7 according to GSM Arena. They give the 8 a rating of 66, while the 7 only has a rating of 61. The iPhone 8 also uses Bluetooth 5.0 versus 4.2 with the 7. Bluetooth 5.0 uses less power than 4.2 and it has 4 times the range. This helps battery life when you’re pairing your iPhone with other devices, such as the Garmin inReach. Still, we always recommend outdoors people carry an external battery pack if they are away from outlets for a night or more. We like the new Anker PowerCore Lite 10000mAh, because its balance of size, weight, and number of charges. The iPhone 8 has both fast-charging and wireless charging while the 7 does not. True, you won’t likely be using wireless charging in the backcountry, but we think fast-charging is a very nice option. Apple claims a fast charger will charge phone up to 50% in 30 minutes. Whether we’re trying to top off our battery at the lodge between ski runs or fully charge before the drive up to a trailhead, fast charging can save you time waiting on your phone and give you more time on the mountain. Lastly, the iPhone 8 processor made major improvements in photo and video quality over the 7. AppleInsider compared the the video quality on the iPhone 7 and 8. CNET compared the phone and video quality on the 8 Plus and the 7 Plus (which has the same camera setup as the standard 7 and 8, except both Plus versions have a telephoto lens). In both of these comparisons, the 8 produces noticeably better photo and video quality. Given the speed that phone camera technology improves, we think two years from now, you may find the photo quality on the 7 to be annoyingly behind the times. We think that when you’re buying a new phone, it should serve you for the next two years. We think the 8’s camera (unlike the 7) is good enough that it should stand the test of time...or at least a few years. With some phones now exceeding laptops in price (hello $1,449 XS Max with 512GB), we also wanted an option for people who are more budget-conscious. Enter Apple Certified Refurbished. Rest assured, all refurbished products come with the same Apple one-year warranty as new products (make sure you buy a certified refurbished phone). If you’re on a budget, we recommend going with the refurbished 8. As we mention above, the 8 is a better option than the iPhone 7 for a whole suite of reasons. Because the 7 is the “oldest” model Apple sells Certified Refurbished, we also have concerns about how long Apple will support it with iOS updates. If you’re not comfortable with a refurbished phone, you can also upgrade to AppleCare support for peace of mind (that’s one reason why we highly suggest purchasing used phones through Apple’s website instead of third-party dealers). We’ve read too many horror stories of used phones failing after 90-day grace periods. The one downside of Apple Certified Refurbished is that the availability of refurbished phones--especially newer models. You may need to watch and wait for the right phone. Do I really need a Phone for the outdoors? You don’t need a separate handheld GPS anymore. In our experience smartphones actually work better than handheld GPS units. Phones are easier to read, have bigger screens with more resolution, have a better user interface, and are easier to load maps onto. The iPhone cameras are very, very good. Most people can get away with leaving a separate camera at home. Your phone has all your entertainment – e-books, audio books, music, podcasts, and videos. You can load your phone with audiobooks and podcasts for the long drive up. And gone are the days of carrying a heavy hardcover book on your backpacking trip! Mapping apps: Gaia, MapMyRun, Strava allow you track your distance and speed, get back on trail when you’re lost, plot out routes, and share where you went with your friends. Relive creates 3D landscape video stories of your ride/hike/run for free! And have you seen what Track Leaders can do? Going on a long backpacking trip on the Appalachian Trail, Pacific Crest Trail, or John Muir Trail? Atlas Guides (formerly Guthook Guides) provides all the maps, navigation, water, campsite, and waypoints you need. If you get lost, the app will navigate you back to the trail. Best yet, the app has real time info like whether a creek if still running at the end of the summer. We researched the most popular comparative and individual reviews of iPhones. Based on those reviews, we aggregated their findings. Because we as adventurers value some iPhone features more than others (waterproofness, anyone? ), we put more weight on features that are especially important for outdoor enthusiasts. We used reviews by PCMag, CNET, The Wirecutter, Tom’s Guide, Digital Trends, Daring Fireball, and Buzzfeed News. After analyzing and aggregating dozens of professional reviews, we examined the seven iPhones that are currently on the market. Using the following criteria, we narrowed that list down to three phones that should fit the needs of most outdoors people. The iPhone XS and iPhone XS Max are the first iPhones to be certified to survive water to a maximum depth of 2 meters for 30 minutes, as noted by its IP68 rating (an international testing standard by the International Electrotechnical Commission). All other phones we reviewed have an IP67 rating (a maximum depth of 1 meter for 30 minutes). Ever try to use your phone when your hands aren’t dry or when the screen is getting rained on? One review said that the XS and XS Max phone work well when the screen is wet. However, be warned: The Apple website says for both IP68 and IP67 that “splash, water, and dust resistance are not permanent conditions and resistance might decrease as a result of normal wear.” In other words, we recommend you buy a waterproof case for any model if you anticipate using your phone in wet or rough conditions (Treeline Review guide for iPhone cases coming soon). Battery life is important, although we recommend always carrying a backup battery for extended trips. Screen size affects battery life, as the screen is the single biggest power user of your phone. Battery life is measured in internet use time, talk time, video playback, and audio playback. We looked at independent testers like Tom’s Guide and GSM Arena for unbiased data. Still, we always advise outdoors people to carry an external battery pack if they know they are going to be away from a power outlet for more than a day. We like the updated Anker PowerCore Lite 10000mAh, because its one of the slimmest and lightest battery packs. It can recharge the XR two-and-a-half times, which we think is enough to last all but the most epic expeditions away from power outlets. The biggest difference (camera-wise) between the seven iPhone models on the market right now is the telephoto lens. Phones with a telephoto lens have 2x optical zoom and 10x digital zoom; phones without the telephoto lens only have 5x digital zoom. This could be an issue if you’re regularly taking photos of distant mountains. Optical zoom uses a lens adjustment to focus on the distant object, while a digital zoom simply manipulates the image itself. Digital zoom is the same thing as opening the image yourself in Photoshop, zooming in on the subject, and cropping the edges. You will lose photo quality and resolution with digital zoom. All iPhones have two cameras: a front-facing camera and a back-facing camera. The front-facing camera is sometimes called the “selfie camera.” It is also used for webcam and video calling. The rear-facing camera faces away from the user, as a normal camera would. These two cameras are what makes it possible for you to take a selfie without flipping around your phone. But no matter how many cameras your iPhone has, know the cameras aren’t created equal. The front facing (selfie) camera is identical for iPhone XS, iPhone XS Max, and iPhone XR. 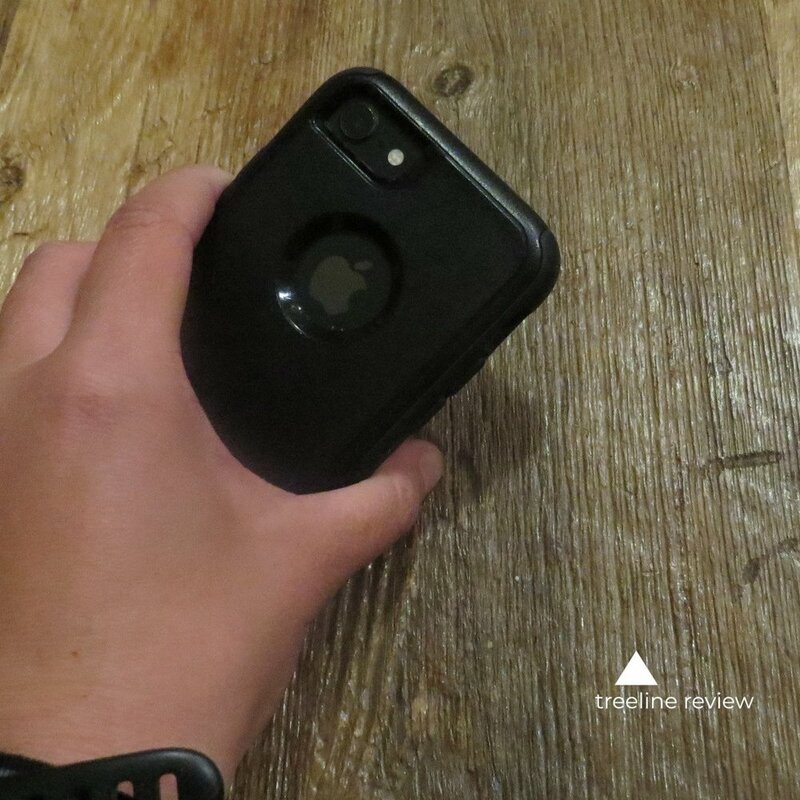 The iPhone XR, iPhone 8, and iPhone 7 only have one rear facing camera – a wide-angle lens. The iPhone XS, iPhone XS Max, iPhone 8 Plus and iPhone 7 Plus also have a second rear facing camera – a telephoto lens with optical zoom capability. These phones don’t have a telephoto second camera:the iPhone XR, iPhone 8 and iPhone 7. This means they can only digitally zoom 5x. Need more zoom? The iPhone XS, iPhone XS Max, iPhone 8 Plus, and iPhone 7 Plus can optically zoom 2x and digitally zoom 10x. Chances are that when you’re adventuring, you’ll be taking photos of people in the outdoors. Enter Portrait Mode, a feature in newer versions of iPhones that creates a depth-of-field effect, also called the bokeh effect. In Portrait Mode, the camera automatically creates a soft out-of-focus background in contrast with the sharp in-focus main subject. The XS, XS Max, and XR also have a sliding scale to change the level of bokeh. Portrait mode is not available on the iPhone 8 or 7. Portrait mode with the iPhone XR only works on humans (not animals or inanimate objects). Trying to figure out whether the XS or XR is better in Portrait Mode? According to Daring Fireball, it depends on the lighting. The iPhone XR being held by an outdoors person, not a hand model. The screens range in size from 4.7” for iPhones 7 and 8 to 6.5” with the iPhone XS Max. The total phone sizes range from 5.44” to 6.24” in height and 2.65” to 3.07” in width. This is painfully obvious, but a bigger screen means you can see more. Since most adventurers use the phone for GPS and map navigation, this likely means being able to see more of your topo map, more of trail-specific navigation apps like the Guthook app, etc. Want to see the Gaia and inReach apps at the same time? This is a likely scenario for outdoorspeople who navigate using Gaia’s map, but are trying to text home via the inReach App. The iPhone XS Max in landscape mode has 2 panes (although it is not true dual-window multitasking). Is your iPhone narrow enough to comfortably operate it with one hand? This is key when you may be holding something in the other hand (like hiking poles). If you have smaller hands, this question is even more important. Will it fit in your hip belt pockets on your pack (or wherever you store your phone while adventuring)? If it’s close, remember that a phone case could make the phone too big to fit. The iPhone in the wild, used by one of our testers. The iPhone XS, iPhone XS Max, and iPhone XR are the first iPhones to be sold with dual SIM card capabilities. How does this help you? You can have a main carrier and use the second SIM card with a prepaid alternate carrier to pick up other networks. When would this be useful? On a recent hiking trip to Mt. St. Helens, a friend’s AT&T phone had great coverage for most of the trip but our Verizon phone did not. And while Verizon is known for having better rural coverage, that is not always the case. Thinking of walking the Camino de Santiago pilgrimage? Trekking in Europe? Machu Picchu or Kilimanjaro? Dual Sim cards mean it’s much easier for you to get a temporary number while travelling internationally. That way, you don’t need to get a whole new phone just for use when traveling abroad. You can use a cheap carrier for your everyday city life where you are likely to always have reception. With the second SIM card, you can get a prepaid plan but with stronger, broader carrier. Use the prepaid plan for your adventures where the cheaper carrier may not have coverage and only pay for coverage when you need it. We always suggest carrying paper maps as back-up to those stored on your phone. Sometimes the GPS coordinated maps on the phone can be a real time-saver. Photo by John Carr. Our experience is that 64GB is not quite enough memory storage. Why do you need more storage? More capacity for downloading offline maps in apps like Gaia and Google Maps. Ona recent example on a hiking trip in Canada: decent wifi was hard to find and we weren’t able to download topo maps for the next section of our trip. Note that Strava and Map my Run don’t offer this feature….yet. 4K videos take a lot of space. As more adventures are shared in video form, having the capability to take many clips and edit them down from your phone requires more storage. More capacity for podcasts and music for the drive to the trailhead or crag or to listen to in camp. More capacity for e-books. Like to read in the tent at night? A phone is lighter than hauling out a hardcover, but only if your phone as the storage for it. All of the iPhones in our review have Bluetooth 5.0, except the 7 and 7 Plus have Bluetooth 4.2. Bluetooth 5.0 uses less power than 4.2 (which helps when you’re pairing your iPhone with cameras or backcountry electronics like your Garmin inReach). Bluetooth 5.0 also has 4 times the range of Bluetooth 4.2 (200 meters versus 50 meters outdoors). Not all phones have face ID. This could be important when you’re wearing gloves and don’t want to take them off (think skiing, snowboarding, mountaineering, or late-season hikes). Our experience with touch ID has been that when our fingers get puffy while hiking, touch ID doesn’t always work. And user reports about face ID are good – it works with sunglasses and hats. After doing the research, we don’t think the display quality is a criteria that is relevant to outdoorspeople. The XS and XS Max have the beautiful new super retina HD OLED display (and they are beautiful) with 458 pixels per inch. The rest of the phones have retina HD LCD displays (and the XR has a super retina) with lower resolution. Will you notice a difference? All of the reviews we read said that most people will only notice a difference if they see the phones side-by-side. Also, the OLED displays are power hogs so even though the XS Max has the largest battery, the expected battery life is less than the XR and 8 Plus. So again, we don’t think it’s worth the extra money and quality of screen display wasn’t a criteria we thought important for adventurers. Turn the screen brightness all the way down and put it in auto brightness. The screen is the biggest user of battery. Set your apps (and especially your GPS app) to only get a fix when you ask for it (go to Settings < Privacy < Location Services and change each app to “While Using the App”). Go to Settings < Battery to see which apps use the most battery. Close the apps completely that you won’t be using on your trip. Keep your phone from getting too cold. Yes, we sleep with our phone at night in our sleeping bag. We also carry it close to our body when it is cold outside. Apple’s website states that the ideal comfort range is 62° to 72° F.
Similarly, keep your phone from getting too hot. Apple says the maximum operating ambient temperature is 95° F (32° C). Higher temperatures can “permanently damage battery capacity.” So don’t leave it direct sunlight or in your car. Consider carrying an external battery pack when you’re traveling anywhere without reliable outlets. We like the new Anker PowerCore Lite 10000mAh. It’s a slimmer, lighter updated version of Anker’s well-tested 10000 mAH external battery. The outlet that you choose could impact your charging speed. We suggest reading Atlas Guides outdoor-specific advice for phone chargers. If battery life is a big concern for you when in the outdoors, we’d advise reading about the science and best practices of phone battery life from Wirecutter. For an outdoors-specific take on phone batteries, it’s a bit outdated, but we still think Atlas Guides does a great comparison of phone battery life while in the backcountry. Do you really need an iPhone in the outdoors?